“The Company” means Tiles Porcelain Limited, Company Registration No. 06105053. “The Buyer” means the person, firm or company to whom a quotation is addressed or whose order is accepted by the Company. “The Goods” means the subject or such quotation or order. Our Sites and our Store are operated by Tiles Porcelain Limited ("we"). We are registered in England and Wales under company number 06105053. Our registered office and main trading address is at Tiles Porcelain Ltd, Unit 1, Off Littleburn Road, Littleburn Industrial Estate, Langley Moor, Durham, Co. Durham, England, DH7 8JF. Our VAT number is 934147427. You can place an order for any of the products by calling our sales line on 0191 3783896 or by visiting our Store. Your order constitutes an offer to us to buy a product or products. All orders are subject to acceptance by us. If you place an order using our sales line, we will confirm such acceptance to you by providing you with written confirmation (usually by email) that your order payment has been processed and your order accepted (the "Acceptance of Order") with an invoice. If you are contracting as a consumer, you may cancel a Contract at any time within fourteen (14) days, beginning on the day after you received the products. In this case, you will receive a full refund of the price paid for the products and price of delivery in accordance with our refunds policy (set out in section 8 below). After the 14 days of you receiving the goods Tiles Porcelain Ltd do not accept returns and/or provide a refund. To cancel a Contract, you must inform us at (Tilesporcelain Ltd.Unit1 Off Littleburn Road, Littleburn Industrial Estate, Langley Moor, County Durham. DH7 8JF – E-mail sales@tilesporcelain.co.uk) providing a clear statement to cancel on a durable medium. You must also then return the product(s) to us within 14 days from the date that you informed us, in the same condition in which you received them, and at your own cost. Failure to do this Tiles Porcelain Ltd will not accept any returns out of this timeframe of which will be refused. When returning the products to us you must ensure the products are appropriately packaged to protect them in transit and that the correct postage is paid. You have a legal obligation to take reasonable care of the products while they are in your possession. Any products which are made, specially ordered or tailored to your particular requirements, including but not limited to under floor heating kit, none stock items such as ceramics. We shall be under no obligation to give you a full refund in relation to any product sale and delivery charge that Tiles Porcelain Ltd charged/invoiced you to send the goods to you once you have had the goods for more than 14 days in your possession commencing the day after receipt of delivered goods. All products are subject to availability. If we are unable to fulfil your order we will inform you as soon as possible. Where we have accepted your order, we will use reasonable efforts to fulfill your order by any delivery date agreed between us and set out in our Acceptance of Order, or if no delivery date is specified, within 30 days of the date of your order. If we are not able to fulfil your order within these timescales we will try to inform you as soon as possible. You must make all arrangements necessary to take delivery of products when we deliver them in accordance with the stated delivery times (or collection) for the delivery charge you have paid. If you do not accept delivery of the products or we are unable to deliver or are delayed in delivering products because of your actions or omissions then we may charge you and you will be liable to pay us for all costs we incur. Delivery is classed as a kerbside delivery. The allocated external delivery company will bring the pallet up to the property but may not take in your house, they will not take it up any flight of stairs in flats or apartments or stairs within business addresses, the only possible option the driver may give you is to leave it in a garage as long as the ground is flat and accessible. Gravel driveways it is not possible to manoeuvre pallet trucks so in this instance the pallet will be dropped as near as possible to the property. You will be provided with a delivery “day” at point of order. Please make sure you are home for the specified delivery date as there are additional redelivery charges if a delivery is attempted and failed. Deliveries will not be left unattended if you are not home to accept the delivery as a signature is required. The drivers paperwork states to call customers 1 hour before delivery and in most occasions this will occur, however Tiles Porcelain Ltd. cannot make guarantee this will occur as we rely on the driver from an allocated external delivery company. The risk in the Goods shall pass to the Buyer on completion of delivery. Title to the Goods shall not pass to the buyer until the Company receives in full (in cash or cleared funds) for the Goods and any other Goods that the Company has supplied to the Buyer in respect of which payment has become due, in which case title to the Goods shall pass at the time of payment of all such sums. (b)	in the case of tangible proceeds, properly stored, protected and insured;. (c)	Not remove, deface or obscure any identifying mark or packaging on or relating to the Goods;. Until such time as the title in the said Goods passes to the Buyer (and provided that the Goods are still in existence and have not been resold) the Company shall be entitled at any time to require the Buyer to deliver up the Goods to the Company, and if the buyer fails to do so forthwith, to enter upon the premises of the Buyer or any third party where the Goods are stored and repossess the Goods. The Buyer shall not be entitled to pledge or in any way charge by way of security fro any indebtedness any of the Goods which remain the property of the Company, but if the Buyer does so, all monies owing to the Company shall (without prejudice to any other right or remedy of the Company) forthwith become due and payable. Prices contained in any written quotation issued by us shall (unless otherwise stated) remain valid for a maximum of 30 days. Payment for products can be made by credit or debit card, cheque or bank transfer. (d) the Buyer’s financial position deteriorates to such an extent that in the Company’s opinion the Buyer’s capability to adequately fulfil its obligations under the Contract has been placed in jeopardy. Without limiting its other rights or remedies, the Company may suspend provision of the Goods under the Contract or any other contract between the Buyer and the Company becomes subject to any of the events listed in clause 7 above, or the Company reasonably believes that the Buyer is about to become subject to any of them, or if the Buyer fails to pay any amount due under this Contract on the due date for payment. Without limiting its other rights or remedies, the Company may terminate the Contract with immediate effect by giving written notice to the Buyer if the Buyer fails to pay any amount due under the Contract on the due date for payment. On termination of the Contract for any reason the Buyer shall immediately pay the Company all of the Company’s outstanding unpaid invoices and interest. When you return a product to us relying on your other statutory rights or rights under your Contract with us (for instance, because you claim that the product is defective), we will examine the returned product and will notify you if we accept your rejection of the goods via e-mail within a reasonable period of time. We will usually process any refund due to you as soon as possible and, in any case, within 30 days of the day we confirmed to you via e-mail that you are entitled to a refund in relation to the product. Products returned by you because of a defect will be refunded in full, including a refund of the delivery charges for sending the item to you and the cost incurred by you in returning the item to us, not in excess of the original delivery cost charged by Tiles Porcelain Ltd in sending the items to you. Adhesives and grout are cement based products and as such their shelf life can be seriously affected if the product is stored incorrectly. Shelf life will be affected if the packaging became wet or was subjected to storage in damp conditions. Once you are in receipt of the goods Tiles Porcelain Ltd have no control over them therefore it is your responsibility to ensure they are stored correctly, if you wish to return goods under Consumer Contract Regulations they must be returned in the original unopened packaging; failure to do so, and if any evidence of misuse is discovered, we may not accept return. Please check all goods upon delivery for any indication of damage or possible damage and sign the “Proof of Delivery” accordingly, to record point of concern. The company requests to be notified preferably where possible by e-mail or fax within a fair period of time following acceptance of delivery of any claim by the buyer concerning shortages or damaged goods. For any damaged products, photographs where possible are preferred to be sent within a fair period of time following acceptance of delivery to show the full extent of any damages and associated quantities. Risk in respect of the goods passes to the buyer from the moment delivery has been completed. We will refund any money received from you using the same method originally used by you to pay for your purchase. International and overseas transactions will incur a conditional 20% handling and restocking charge. ALL RETURNS CONCERNING TRADE ACCOUNTS ARE SUBJECT TO A 20% RESTOCKING FEE. Consumer Rights Act 2015 has a 30 day time frame from receipt of goods referring to refunds of returned faulty goods and/or replacement of faulty goods ONLY. Misuse of Tile handling resulting in accidental damage of tiles in possession of a customer that has received the tiles within the 30 day time frame in contrary to The Consumer Rights Act 2015, Tiles Porcelain Ltd will not be liable. Risk and ownership passes to the customer upon signing of the kerb side delivery of goods. Signing of the delivery as Damaged, customers are advised to report this immediately to Tiles Porcelain Ltd (Tiles Porcelain Ltd use an external transport courier) and then to agree a reasonable time frame to report the number of actual tiles damaged from date of delivery supported with one photo and a short video where possible. Customers are advised to order 10% for cuts/waste/damages that occur throughout tile installation and movement of tiles from the kerbside delivery into your premises and then to the area of tile instalment. Please note that you cannot successfully complete a tiling project by ordering the exact number of tiles. 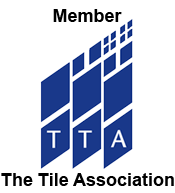 You are strongly advised to order 10% additional tiles as standard practice and to keep any additional as spare tiles for any future reasons. For collections and/or payments made in person at our office/Showroom we offer a 7 day returns policy. ALL special orders of non stocked items of tiles including special orders placed concerning worktops have a no returns policy and no refunds policy. We would not recommend that you start to install any products, or book the services of a tiler or any other tradesman in connection with any products, before you have received full delivery of the products in question and thoroughly inspected the products to your satisfaction. If you choose to do so, you do so at your own risk and at your own liability concerning any costs or losses that you may suffer as a result. We cannot accept the responsibility after the tiles have been fixed. Fixing the tiles to a substrate means that you have accepted the tiles in their present state so no refunds or replacements will be offered. Please ensure you are happy with the tiles before you start any project. Please ensure if possible that a professionally qualified installer is used whereby the specified materials and installation methods are followed correctly to minimise installation failure and damage. Tiles Porcelain Ltd recommends sealing all tiles, irrespective of finish, manufacture, type or material. 10. Samples, Colour & Batch Variations, Under-floor Heating etc. Whilst we take reasonable care to ensure that all images of products published on our Sites accurately depict the products concerned, we cannot guarantee that the exact colour, texture or qualities of all products will be apparent from such images. We therefore recommend that you order samples of products before placing orders for products. All samples are cuttings of the actual tile. Please bare in mind that natural stone varies in shade, colour and tone from tile to tile and although a sample is a good representative of what the stone will look like, each tile will not be an exact replica of the sample received. All Tile Samples are a representation of the actual tile, however, variations in shade, colour and texture may occur from batch to batch. You should be aware that products made from natural materials (including but not limited to travertine, limestone, slate, onyx, marble, quartz, porcelain, granite) may incorporate naturally occurring variations in colour, texture or other qualities which are considered a feature of such products. You should also be aware that the colour, shading, texture and quality of any products may vary between different batches and/or different sizes of the same product. Dry laying is recommended to ensure customer satisfaction of tiles. Wherever, possible we will fulfill any single order you place for a particular product from the same batch. However, where you place separate orders for the same products, the products may not be selected from the same batch. Tiles should be checked for obvious concerns prior to installation. All Quartz tiles sold by Tiles Porcelain are unsuitable for installation in areas subjected to high levels of sunlight e.g., conservatories/sunrooms/french patio doors, outdoor areas or in thermal conditions such as Under-floor Heating. Quartz tiles need to be stored at room temperature for at least 72 hours before installation. We would also advise that installation using too much water with adhesive can also cause warping and ought to be avoided; we would recommend using Tiles Porcelain own branded S1 C2 Single Part Adhesive Rapid Set adhesive EN 12004 to be used in compliance with British Standard 5385 and 8000. Slow setting and normal setting adhesive ought to be avoided due to risk of warping the tiles. Tiles Porcelain Ltd also advise against the use of ready mixed, latex-based adhesives with quartz because this may also cause the tiles to warp. You must ensure that the tiles in which you order are suitable to your individual project and the appropriate installation guidelines are complied with. Tiles Porcelain Ltd cannot guarantee the exact likeness of tiles with coordinating worktops – samples of both should be ordered and approved prior to placing an order. Where material is 100% natural and samples have been submitted, exact matches to the samples cannot be guaranteed because of natural variation. Coloured materials are subject to colour variation. When you send an enquiry you will automatically get added to our mailing list and you automatically give us consent to contact you about your sample order. If you do not wish to receive any future offers or promotions from Tilesporcelain then you can unsubscribe. Different rolls and cuts of the same product may have slight shade variations. If you require more than one cut then we will try to ensure you receive them from the same batch but please note that this is not always possible and therefore slight shade variations may be evident from batch to batch. We therefore cannot be held responsible if shade variations occur as a consequence of cuts being taken from different rolls. Once you receive your product please check it thoroughly and make sure you are 100% happy before making any cuts or adjustments. Once the grass has been altered and/or installed then Tiles Porcelain Ltd cannot be held responsible. Tiles Porcelain Ltd is suppliers of artificial grass only and is not liable for the installation of these products. All artificial grass products are liable to shading, i.e. to show light and dark patched areas. These light and dark patches are created by an uneven pressing of the surface by treading. As with all pile fabrics; general use and foot traffic can cause fading of colour and we cannot be held responsible for complaints arising from either of these causes. If your artificial grass becomes damaged in any way, for example; stained, ripped, burnt or any other damage then Tiles Porcelain Ltd are not liable for this. As we recommend with all our products we advise you to take into consideration cuts and wastages when placing your order and if in doubt you should buy slightly more than required. Tiles Porcelain Ltd is not liable for orders which are too short or too long within the standard manufacturing tolerances. Please note: We have the right to revise and amend these terms and conditions from time to time.